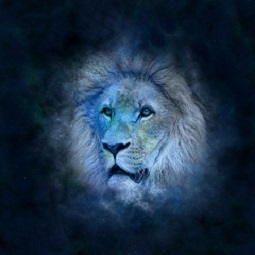 Zodiac sign Leo is the brave sign and is also generous and impulsive. A leader in the making if they recognise and tame their potential to be high minded and high handed. They are a master of their own destiny and will forge ahead with vigour. A highly positive sun sign, Leo can have a magnetic personality winning others over with their sheer belief of themselves. Both being fire signs creates a lively relationship. Their ego's clash as they flirt to be the top sign in this passionate and fiery affair. You could say that it's all about who's on top and whose ego needs stroking first. Things may get rowdy at times as star sign Leo looks for adoration that Aries may be too distracted to give. 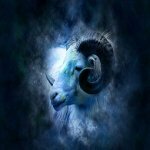 A high level of respect for each other, Aries will sometimes look for direction from Leo and allow to be dominated for the sake of it. Leo loves Aries to give that driving force into whatever they are doing so the balance of give and take is made. So Aries drives and Leo makes sure they carry forward, a pretty good match. Gemini is attracted to Leo's creative spirit, this match is one of balance, with Gemini liking to analyse things and Leo wanting to jump right in and get things done. Both with a high level of energy but delivered in different ways, Leo likes to lead the way while Gemini relishes the freedom to think freely. Leo will bring a decisive aspect to the relationship, helping Gemini to make decisions. A match full of optimism and adventure. Libra has a calming and soothing influence on Leo, the balance in this pairing is achieved from Libras good manners and charm and Leo's direct and decisive personality. Leo brings decisiveness to Libra and also spontaneity of life. This match is warm and loving affair with Libra's ability to see both sides of a story, Leo is pacified to a degree which helps bring balance. These two signs create a great learning experience for both. This is a match that produces never a dull moment. With Sagittarius flirting with life and Leo being grandiose. Both signs are highly dynamic, which leads to a match that is full of energy and fun. Sagittarius enjoys the freedom Leo gives to them from their scene setting attitude, while zodiac sign Leo enjoys Sagittarius bringing grace and harmony. This is a pairing that is fun to be around but if the sparks fly the sparks really do fly.